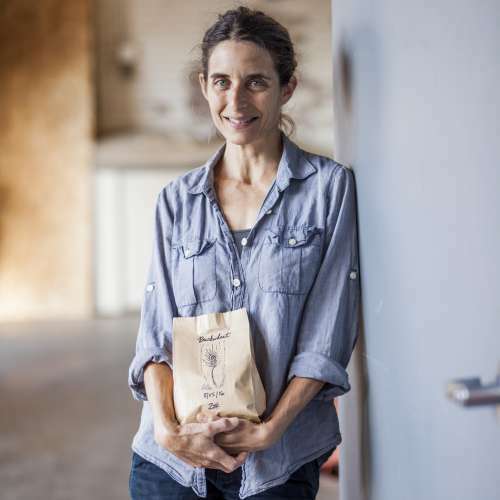 Jennifer Lapidus is founder of Carolina Ground, a regional flour mill located in Asheville, North Carolina. Launched in 2012, Carolina Ground provides a niche market for large scale organic Southern growers, while reducing the food miles of Southern bakers’ key ingredient. From 1994–2008, Jennifer was owner, operator, and baker of Natural Bridge Bakery, one of the first wood fired brick oven bakery in Western North Carolina producing whole grain naturally leavened breads. With Carolina Ground, Jennifer stands between the farmer and the baker, seeking to understanding the challenges of both, and transforming regionally grown grains into high quality whole grain and sifted cold stone milled flours.